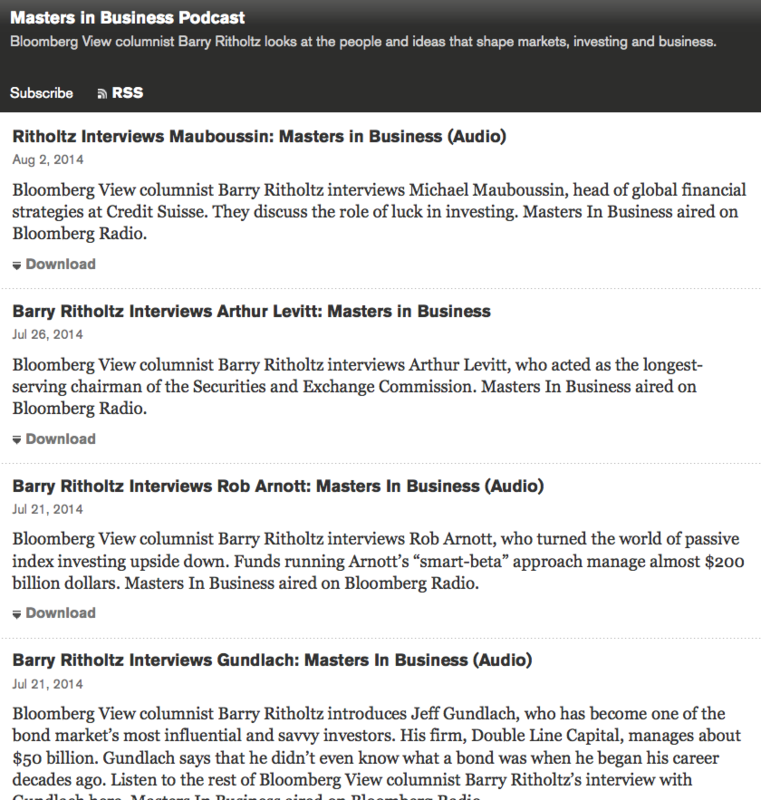 This week’s Masters in Business Radio show is on at 10:00 am and 6:00 pm on Bloomberg Radio 1130AM and Siriux XM 119. Our guest is famed short seller and hedge fund manager Jim Chanos. You can listen to live here. All of the past Podcasts are here and at Soundcloud and coming soon to Apple iTunes.